Landlocked in the Balkans region of Europe is the historic nation of Macedonia. It is a country of magnificent mountains and gorgeous lakes. 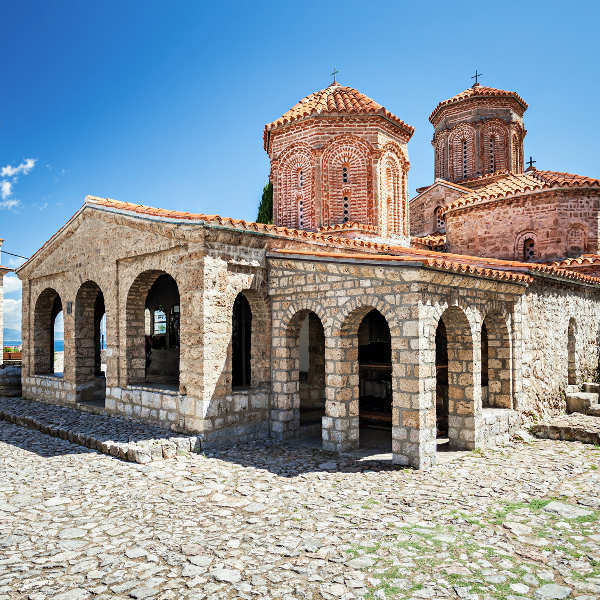 In its charming cities and towns, discover historic architecture that reflects Macedonia’s incredible story. Top tourist attractions include Lake Ohrid in Ohrid, as well as the Mountain of Vodno and the Old Bazaar in Skopje. 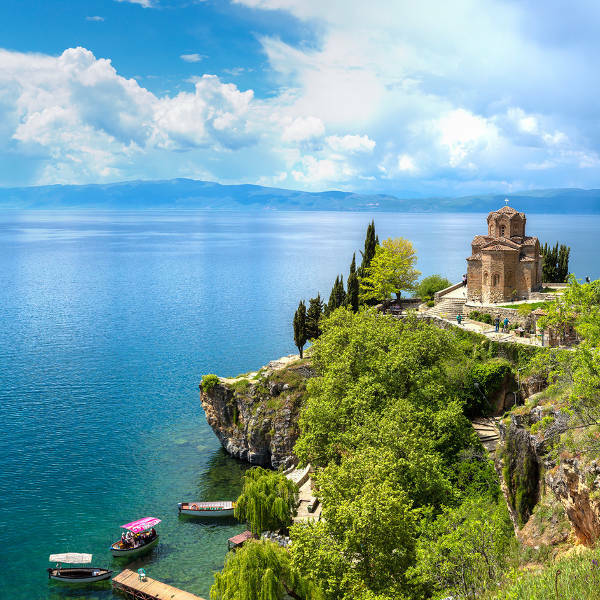 Prepare for a memorable adventure, because cheap flights to Macedonia are now available for a limited time! The busiest airport in Macedonia, Skopje “Alexander the Great” Airport (SKP), is a 20-minute drive from Skopje’s city centre. Macedonia is home to breath-taking natural sights. These include majestic mountains, such as the Šar Mountains and Mount Bistra, and gorgeous bodies of water, including the colossal Lake Ohrid, one of the oldest and deepest lakes in Europe! Due to its rich history, you are guaranteed to discover buildings that reflect Macedonia’s wealthy past. Notable structures include the Porta Macedonia in Skopje, the Monastery of Saint Naum near Ohrid and Samuel’s Fortress, which overlooks Lake Ohrid. The various seasons of Macedonia offer you the opportunity to enjoy many outdoor activities, such as kayaking, rock climbing, horseback riding and golf. 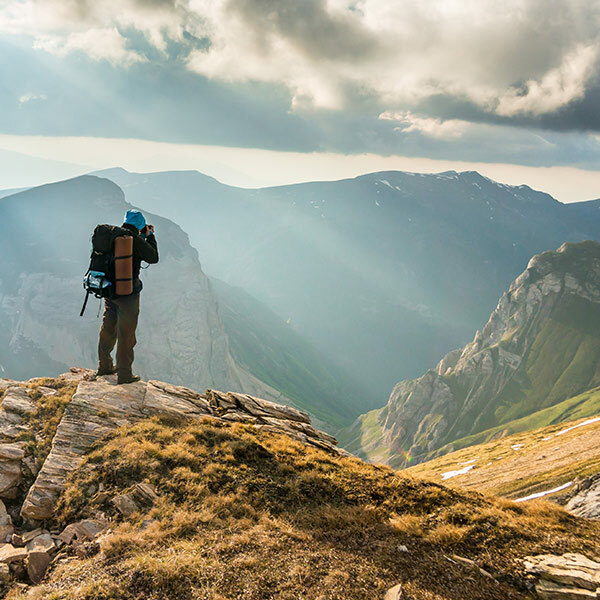 Seize the chance to experience an adventure as you discover this nation’s gorgeous landscapes. The peak tourist season in Macedonia is summer (late-May – August). This is the most popular travelling time in eastern Europe. Between late-June and early-August, crowd volumes and accommodation rates reach their highest. Most travellers visit during this time to catch the summer heat, which can reach beyond 30°C. For more moderate weather, affordable hotel prices and thinner crowds, visit Macedonia between April and early-May (spring), and between September and early-October (autumn). During spring, join in the Easter celebrations, which include seasonal dishes, markets and bonfires. For cheap flights to Macedonia, visit during winter (late-October – March). Pack plenty of winter clothing, though, as temperatures during the day can dip as low as 4°C and go towards -3°C in the evenings. You can get some relief from the cold by enjoying the Christmas fairs (which include wine), or for the more adventurous; go skiing. Start packing your bags and get ready for a journey to the Balkans, because a wonderful holiday opportunity in Macedonia awaits! This is a nation rich in natural scenery, with mountain ranges like Stogovo, Dešat and Jablanica, and picturesque bodies of water, such as the huge Ohrid Lake, Dojran Lake and Prespa Lake. Then, there is Macedonia’s historical wealth: the country has existed since the ancient period! The capital, Skopje, is best known for its architectural contrasts with its eclectic combination of buildings and monuments, such as the Memorial House of Mother Teresa, the Macedonian Philharmonic Orchestra Hall and Porta Macedonia. This destination includes more major attractions, such as the Old Bazaar, Lake Matka and the Stone Bridge. The scenic city of Ohrid sits on the magnificent lake of the same name. This destination is home to several examples of medieval architecture, such as the Monastery of Saint Naum and Samuel’s Fortress. Take a walk down its cobbled streets, which are flanked by charming restaurants and lakeside cafés. Despite its appeal as a tourist hotspot, Ohrid still retains a small-town atmosphere, especially in the area of Old Town. Compare several airlines and book your cheap flights to Macedonia online at Travelstart! Macedonia enjoys a high level of safety, but make sure to guard against pick-pocketing. Plenty of hotels and private accommodation packages offer safes to store your valuables and cash.